An NPC that appears in 4 Goddesses Online. 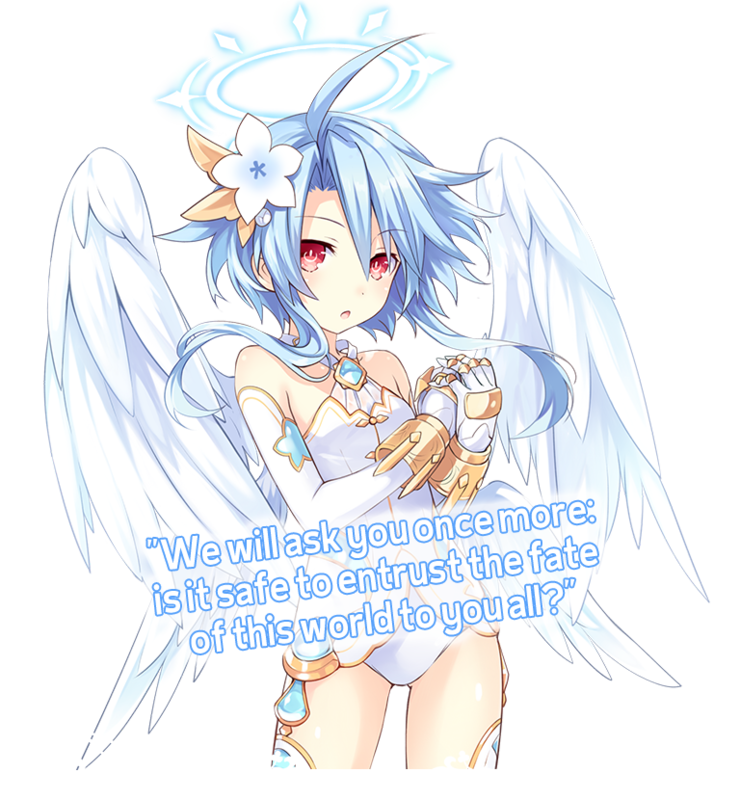 She was created using Blanc's HDD form in real life as the motif for both her physical form and personality. While she speaks politely for important story scenes, her usual manner of speaking is said to be quite... rough. Her attitude is also very blunt. According to the story of 4 Goddesses Online, she is one of the four Goddesses who sealed away the Demon King long ago. Her weapon is an axe, and she purifies enemies with her incredible power. She is, of course, a Goddess class character.